ELearning! 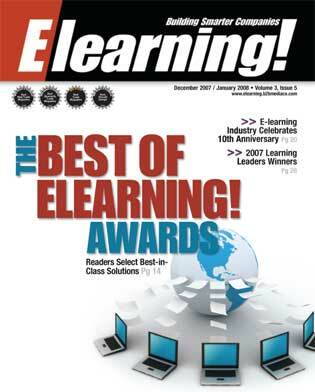 magazine named CourseLab as co-winner (with Articulate Presenter) in Presentation Tools section of Best Of ELearning! 2007 Award. We want to thank all the people who voted for CourseLab! Your support helps us very much! Please read full story in January 2008 issue of ELearning! magazine or in Winter 2008 ELearning e-zine.